No longer merely a gaming technology, virtual reality can help patients relieve anxiety disorders. If you live with anxiety or another psychiatric disorder, you know that it's not fun and games — every day can be a challenge. Now, researchers are finding that virtual reality (VR), used in conjunction with traditional therapy, can lead to positive outcomes for patients. Turns out, VR is much more than a high tech toy. Having an anxiety disorder might mean feeling constant worry that makes it difficult to function at work or get a good night’s sleep. Some phobias, like fear of flying, might keep you from participating in family vacations or business trips. Crippling panic attacks or compulsive rituals can develop and interfere with daily activities. Without professional intervention, life can become quite miserable. Traditionally, therapists have used exposure-based therapy to treat patients who have anxiety disorders. Exposure-based therapy gradually introduces the patient to the object or situation that stimulates the anxiety response and teach them how to react differently. For instance, a therapist might begin by asking a person who has arachnophobia to imagine a spider. After that, she would show the patient pictures of spiders. As the therapy progresses, the patient would observe live spiders and eventually touch a spider. But during a VR-enhanced therapy session, the patient uses a head-mounted display and other interface devices like gesture-sensing gloves, and vibrotactile platforms. Sensors in the equipment track the user's head movements so that images (e.g. computer-generated spiders) shift in a natural way and create a sense of immersion. With VR there's no need for visualization or real spiders! 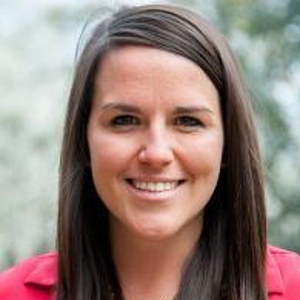 Jessica L. Maples-Keller and her colleagues at the Emory University School of Medicine and the Medical University of South Carolina wanted to find out if adding VR technology to traditional treatments makes a difference in patient outcomes. They searched the available literature for studies of the use of VR exposure therapy to treat various psychiatric disorders, choosing to examine only studies that yielded measurable results. 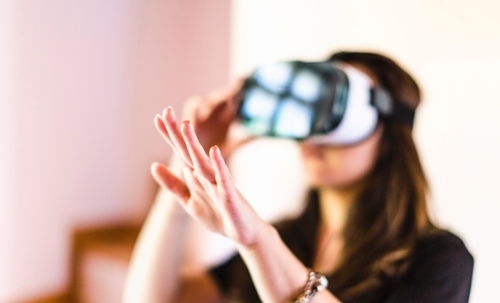 The researchers discovered that VR is more suited to the treatment of some disorders than it is to others and that there are advantages and disadvantages to using VR in psychiatric treatment. In traditional exposure therapy, patients are at times expected to imagine the stimuli that they fear. If a patient has difficulty with visualization, the therapy will be less effective. With VR, imagination is not required. Another way to present patients with stimuli is with in vivo exposure, placing a patient in a real-life situation. This can be impractical and expensive as it may require things like an airplane flight or a visit to a combat zone in Afghanistan. With VR, therapists can construct exposures in a safe and controlled space. An additional advantage of VR approaches to therapy is increased patient comfort. One study of patients with PTSD revealed that 19 percent of participants who said they would not be willing to talk to a counselor in-person would be amenable to a VR approach. Maples-Keller's review for this study covered a range of related psychiatric disorders. Use of VR in treatment was found to be effective in varying degrees for each. Specific phobias, which include flight phobia, fear of heights, needles, and animals, are the most researched and show positive results based on randomized controlled trials (RTCs) with adequate sample sizes. The study also revealed that though studies of VR-based treatment of social anxiety disorder are few, they do show promise. Additionally, several studies have revealed that patients with posttraumatic stress disorder (PTSD) benefit from VR-based exposure therapy. Maples-Keller and her team also looked at studies of VR-based treatment of generalized anxiety disorder, obsessive-compulsive disorder, schizophrenia, acute and chronic pain, addiction, eating pathology, and autism spectrum disorder. Patients with these maladies responded in varying degrees to the treatment. Incorporating VR into the treatment of psychiatric disorders is more than just an academic exercise for Maples-Keller. “Virtual reality exposure is currently in use in many clinical settings, which is very exciting,” she says. The technology has improved, and costs have gone down which has increased its potential for use in clinical care, she adds. Maples-Keller also notes the importance of training for those who provide VR-based exposure therapy, explaining that providers should be competent in exposure therapy, and be trained to use VR within psychotherapy. If you have an anxiety disorder, consider finding a therapist who has expertise in this promising technology. Anxiety disorders are no joke, but with VR added into the mix, therapists have another way to bring a smile back to your face.